On September 21 & 22 2012, the first ever West Coast UBC Pro Tour event rolled in to Stone Gardens Bellevue at Crossroads for the first ever SBC Pro. With the largest cash purse ever for a UBC Pro Tour event, the SBC Pro attracted athletes from 20 states and 2 Canadian provinces. After 3 rounds of competition familiar favorites and fresh-faced additions to the ranks of UBC Pro Tour Champions stood atop the podium. Full results at www.ubcprotour.com. Another comp video ruined by attempts at artistic flair with overly dramatic, flashy cuts. Don’t they see that it prevents you from establishing any sense of of the flow of the problems? There were SEVERAL times where I saw a climber in a particular position, or having made what seems like a difficult move into an even more difficult spot, and found myself wondering how they’d continue from that point–only for the beat to drop, the next climber to be cut in (usually in the same predicament), with no sense of continuity. Yes, I know it’s a highlight reel, but bouldering, to me at least, is more enjoyable when it’s not portrayed as a distinct series of single-sequence moves. Rather, try to capture the thoughts and feelings of one of the climbers about to tackle a problem. And at least give us a chance to observe each problem completed start to finish by one climber (choose one, I don’t care). Zac, I feel where you are coming from, but I also can see where the editors need to make pacing decisions. getting people to watch a 15 minute comp highlight would be a tough sell. Also, if people what to start paying $50 for comp entry or even to watch the highlights video then it would be more practical to have more cameras in the production process therefore capturing more angles of one single climber. Until that happens, I believe you will continue to see flashy video that at least keep your attention. Flash in a video is not what keeps my attention. Good display of climbing movement is what keeps my attention. hahah, entry fee for this comp was $100. the amount of money (in hours) spent editing this is easily more than a dude with a steady hand pointing an iphone at the problems. You can’t think of competition climbing in the same way that you would an outdoor project. Psyche and a big set of guns is what you need for a comp. Come to expect it…and don’t be so negative. I think they should just release a highlight video followed shortly thereafter by uncut footage of each problem being climbed. Would make everyone happy! Wouldn’t be surprised to see it show up soon. 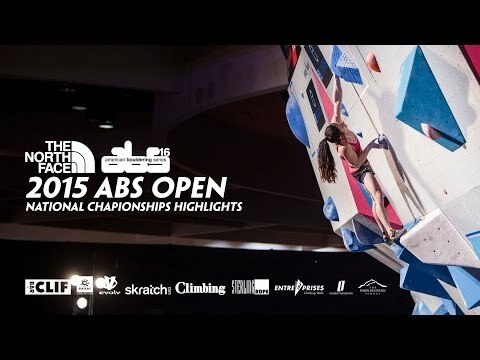 I think there is a perfectly acceptable middle-ground, that these heavy-handed cut, cut-centric highlight reels simply miss: show ONE climber–choose one, whichever, perhaps the one you think did it the best start to finish–doing the problem, and show flashes of some of the others trying the moves. This works especially well if other climbers have different ways through the sequence. At least then, when you see all these variations for a sequence, you have some context. Instead, we’re left wondering if any of them are even close, or how, having made some ridiculous move, they intend to proceed–because I’m pretty sure an Angie Payne heel-hook is not in fact followed (in real time) by an Alex Johnson gaston or dyno. Its worth looking at therealudini videos on youtube. His “reports” of the world cup competitions run around 15 minutes long. While not necessarily as showy as these highlight videos, his videos seem to strike a nice balance of giving the viewer a feel for the problems (and the comp as a whole). He keeps it much shorter than showing the entire comp by showing just a few climbers on each problem and often putting them side by side. I would love to see more “report” like videos to go along with the “highlight” videos. I love LT11. That being said…this was supposed to be a highlight reel. It’s supposed to be a highlight of the climbing. I want to see more footage of full sends of problems. Preferably from those who placed in the top spots. The blabber Pete Ward has to say is boring filler and is not a highlight. Watching Sierra Blair Coyle in her small shorts is.. Watching Matty Hong, Jimmy Webb, and waaaay more of Josh Larson crushing is a highlight. The actual climbing highlights started half way through the video. Still, great video, props to LT! Most of my thoughts from here apply to this video a well. Overall I thought this was pretty good. The one thing that is really lost is the sense of context as to what we’re actually seeing. We see a bunch of attempts on cool looking problems and then 3 of those people end up in some order on the podium. Some communication as to where the climbers stand after each problem would go a long way toward having the highlights make a lot more sense.